"I would like to be remembered as playing the game, and playing it clean and hard. And for having the respect of the fans and letting the other ballplayers know that I regard them as ballplayers, too. And that I wasn't out to jeopardize a fellow's living because I was also living at that time, and I think that his life and his livelihood was just as important as mine. 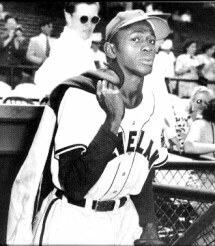 And I would like to have seen all ballplayers live a decent and clean life and represent baseball in a positive way."